With breathtaking views of the City of London, this one-of-a-kind space – located on the 38th and 39th floors – offers an ideal setting for events both large and small. At SUSHISAMBA City, your event is our pleasure: corporate functions, team building, sake tastings, sushi classes, charity events, wedding receptions and private parties. Whatever the celebration, SUSHISAMBA will help you create an event unlike any other. 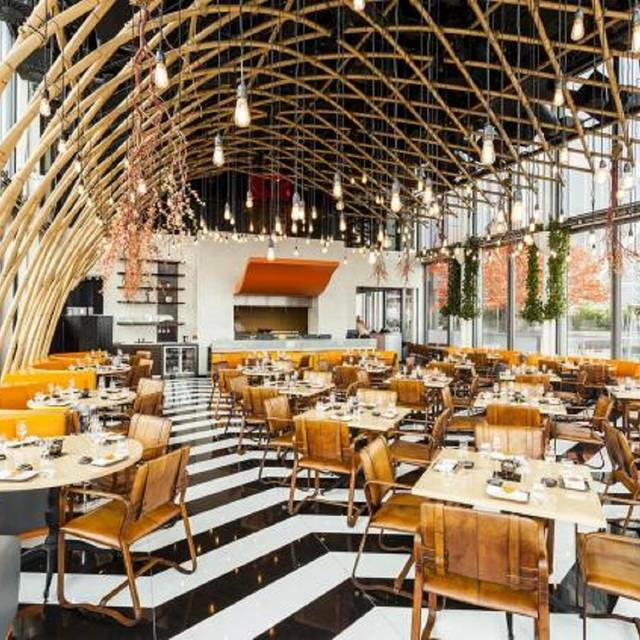 Located on the 38th and 39th floors at 110 Bishopsgate, SUSHISAMBA City delivers a unique blend of Japanese, Brazilian and Peruvian cuisine, culture, music and striking design to London. 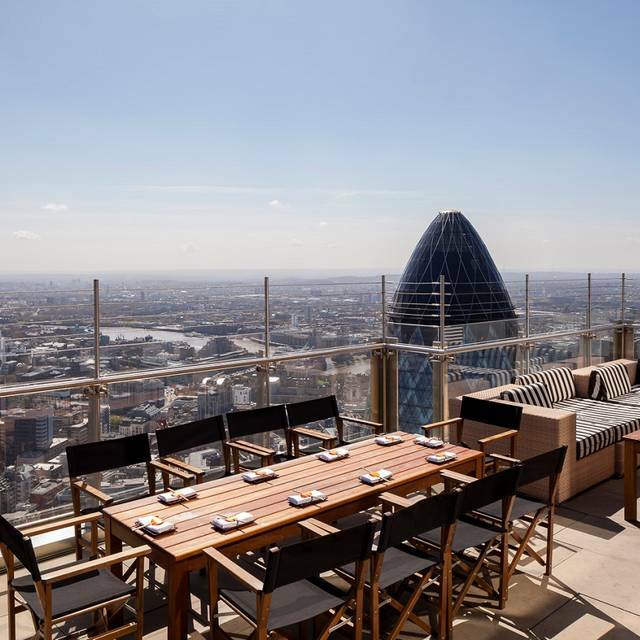 The location features the highest outdoor dining terraces in Europe, offering unparalleled, 360 degree views of the city. 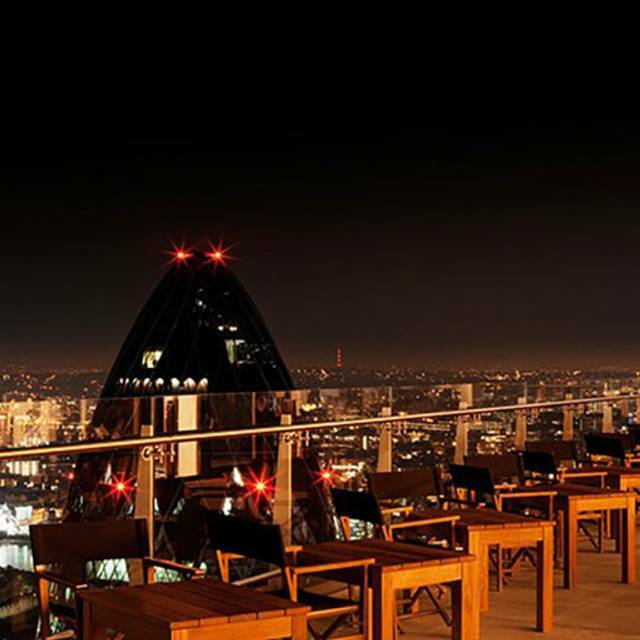 SUSHISAMBA's menus offer an inventive culmination of three cuisines. Guests are treated to Brazilian churrasco and moqueca, Peruvian anticuchos and seviches, and Japanese tempura and sushi. 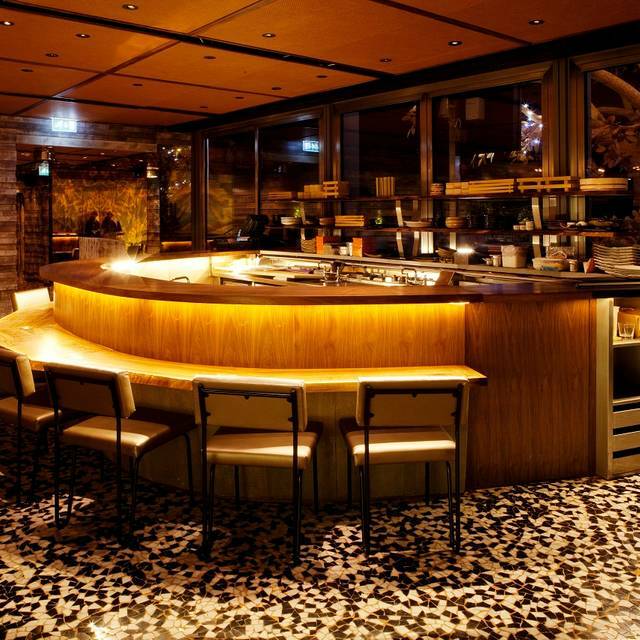 The open kitchen and fiery robata grill offer brilliantly roasted and flavoured meats, vegetables and fish that capture the restaurant's culinary prowess. 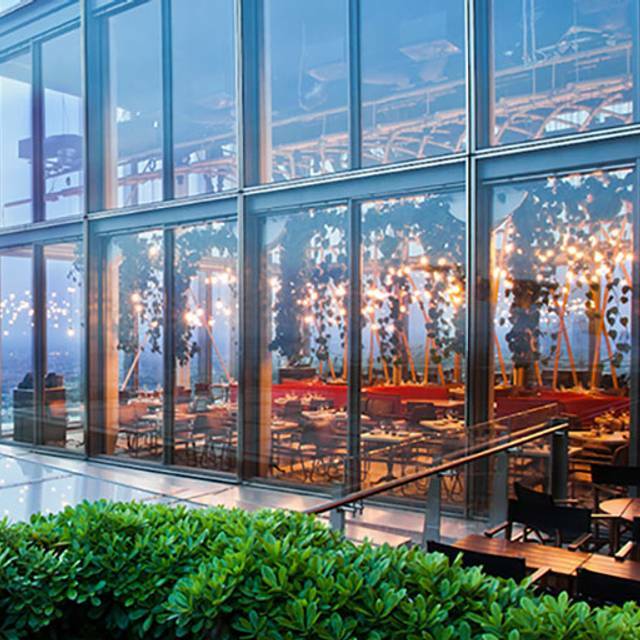 SUSHISAMBA's conceptual small – plate style of service encourages a shared dining experience. Complementing the cuisine, the restaurant offers a vast selection of signature cocktails as well as an extensive sake and wine list. We`ve been advised by Marc E. (restaurant Manager) to share our feedback as it would be relevant for the team to learn from their mistake. Sushi Samba is an amazing place for its venue and menu. We feel quiet privileged going in, enjoying an incredible view over the city of London. The service is however atrocious. We were missing two dishes and it went down ill from there. Had to show pictures (thankfully the plates looks superb so we took pictures), justify ourselves and argue. All members of our party work in catering industry and we know very well that sometimes mistake happens and we would have never been difficult about it. Insinuating that we are lying, and switching the error onto us is definitely another story. For such a unique and high standard restaurant like theirs, it is truly disheartening. I've took my girlfriend here for her birthday and we were extremely happy on how the restaurant staff took care of us. Also the food and new recipes were delicious. This is a place to come back on special occasions. Read many mixed reviews before going so was worried about our experience. It was a treat for my BF for his 30th. I started to panic when I got a text from Sushi Samba on a Tuesday asking me to confirm my booking for the Wednesday. I had booked it for a Saturday! I called to find out what was going on and the woman on the phone was very short with me, not at all apologetic or reassuring and made me feel like I was a complete pain. I asked for her to check my booking as the text was incorrect. She said I must have made 2 bookings in error, that it was my fault not their system error! I assure you I had not made a mistake! However, arrived on Saturday and had a wonderful time. Our waiter was very friendly and attentive and helped us with the menu, the food was amazing and came very quickly, great view too. Strongly recommend the shrimp tempura! I'm glad my experience was a good one as for the price I paid I would have been very upset if it had been as bad as many others have said. The view is fantastic - and so is the Sushi. Something special and nothing you'd eat in any other place. Now I know why you really need book early in advance. Amazing inside, fabulous views, the food is heavenly. Prices are mostly surprisingly reasonable for a trendy place in the city, although the drinks are expensive - stick with the cocktails rather than with the massively overpriced wine list. Loved loved loved this restaurant. The food was superb the service exemplary and the views of London amazing! There was also some live music which finished of the birthday treat will definitely be going again! The food was delicious! The black cod miso is superb. However sadly out waiter was very rude, he seemed incapable of looking at us when we were ordering and appeared bored by our presence. We felt awkward being there and felt like an inconvenience for him. I booked this restaurant for myself, my fiancee and my parents to celebrate my birthday. I have been to Sushi Samba several times and have always had great food and great service but unfortunately i experienced terrible service on this occasion! To begin with we let the restaurant know we were there and they couldn't find the booking. I was accused of not making a booking but luckily i had the opentable confirmation on my phone so after a ten minute wait they showed us to our table. The beginning of the meal was great but half way through our waiter let us know he was going on a break. We thought it wouldn't be an issue as it's happened to us before when dining here. The new waiter cleared our table of everything then offered us the dessert menu - we hadn't received half of the dishes we had ordered! We let him know that he had made a mistake and that several dishes were still to arrive. He apologised then disappeared. We assumed they would be bought out but after a 30minute wait we had to ask a different waitress. She admitted they had lost the order and asked us to reorder. Another 20mins later the dishes arrived. We were given the sushi rolls at no cost but i don't think we should have been made to pay for any of the dishes after such a long wait and messing up our order twice! The rest of the meal ran smoothly until my dad asked for to pay the bill and handed the ticket he had for the tab at the bar. Again we waited for about 15 minutes before someone had told us that no card matched the ticket he had given then, he was asked to explain the type of card he had and luckily they went away for another 10minutes and came back with the card. BUT they had lost the drinks order that he had at the bar - which was only 2 drinks that we were asked to pay for. Again - I think after another mess up they should have written off the drink bill to apologise! I didn't like sushi, but the whole atmosphere was awesome! good cocktails, prawns, service! I booked our table 2 months in advance. I only got a reservation for 17.45h. I made a remark and asked for a later time. I didn't got an answer so I wrote an other email around 4 weeks later. And the same happend!! I didn't got an answer. I think that's really not correct and I am disappointed about that. I booked a meal to make my partners birthday a little extra special. He loved it and the views from the bar overlooking London were wonderful as we sat in the window area overlooking the Gherkin as we sipped our drinks. However the views from the restaurant whilst eating were not of the best parts of London and this was the only let down of the occasion. The food was fantastic and overall the price was reasonable. We will be going again sometime. Some of the waiters from South America spoke so fast that it was difficult for us to understand especially when trying to make selections from the menu where we felt that we needed some guidance. The seafood was wonderful and we couldn't manage a sweet. They went to the trouble of letting my partner out onto the balcony to take some photos when it was closed due to the rain. This goes to show that they do go the extra mile if you simply ask. We arrived at 5pm having booked the table six weeks earlier as an end of summer holiday treat for myself, my husband and two teenagers. We were whisked up to the 38th floor in the amazing glass lift and walked into the welcoming brightly lit bar space and through to the restaurant. Our server Tariq seated us by the window as requested and brought us water to the table along with some lime slices which was a nice touch. He went through the menu with us and warned us against over ordering. My son ordered fillet steak from the robata and loved it so much that he ordered a second portion - he refused to share it so I have no idea how good it was but as he went for seconds I can only presume it was great. The sushi rolls were lovely and the wasabi was fresh. The robata poussin was delicious and the accompanying sauce really went well with it. My daughter loved the miso soup and we all enjoyed the tempura shrimps. The edamame beans were lovely and salty and we squeezed the lime juice over them to add some zing. During our meal the weather changed from sunny to raining and we had the privilege of seeing rainbows from our table. Although the bill was nearly £200 we really enjoyed the meal and the experience and will go back in a few months time. 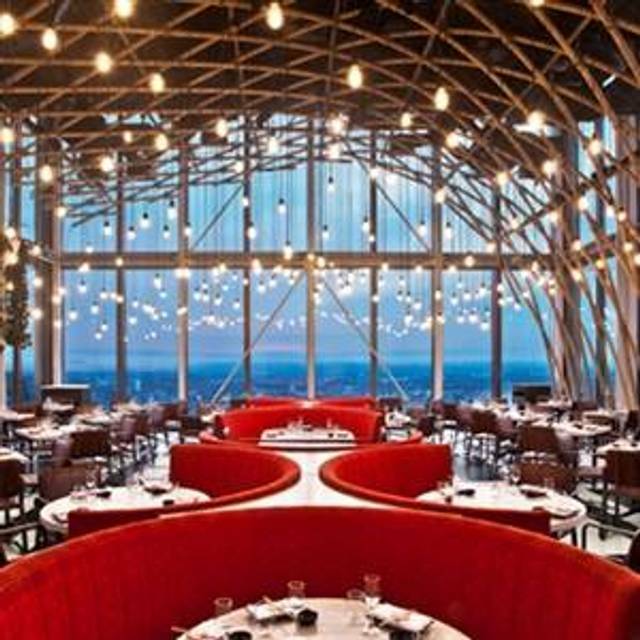 It goes without saying that the venue and location are fabulous and for that alone a visit to SushiSamba would be a great experience but to have food that was excellent made this an outstanding dinning experience. The beautifully presented and cooked to perfection. 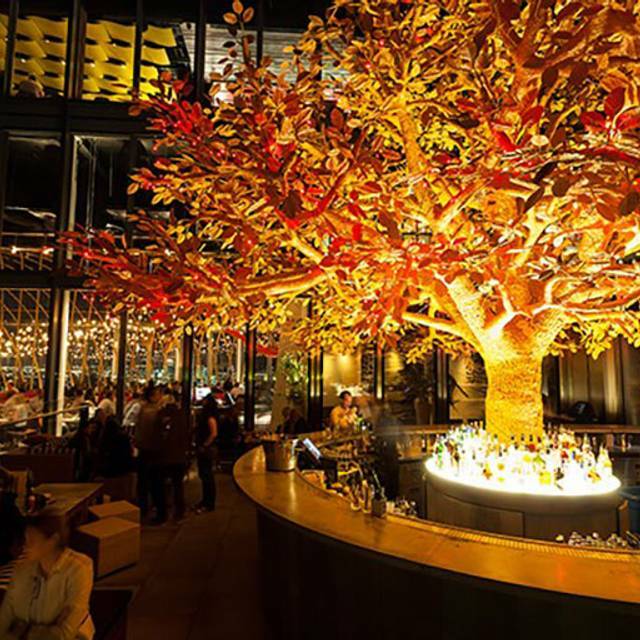 The staff were helpful and attentive and I have no hesitation in recommending Sushi Samba. However it is expensive but for a special occasion well worth paying the extra for exceptional quality. First up: this is the most expensive food I've ever eaten. This means I am unlikely ever to be able to go again. But what an experience! From the concept - a fusion of Japanese, Peruvian and Brazilian cuisine, and the setting - dining way above London, watching the drama of English summer weather advancing across the capital, to the service - exactly the right mix of fun, energy, enthusiasm and discretion, this was the complete treat. In the sky. The only downside was the bar area where we waited for our table. Fabulous views down the river, but grubby, tired furniture, and sticky, dirty floor made me worry about the meal to come. Happily, the meal blew all that away - but at those prices, I'd expect the bar to be exceptional too! We really enjoyed our lunch here. The food was fabulous and stunning to look at and of course there's the view. I have marked the service down even though our waiter was charming and the food came fast because drinks were very slow. We had nearly finished our first selection of food when the wine my husband had carefully chosen finally arrived. Shame as that is my only complaint. Had a fantastic meal at sushi samba. It was for a special occasion to farewell my sister who had come to London for 3 weeks. From the lift to the atmosphere, waitors, food and cocktails it was all delicious loved every minute a real treat! So worth it! 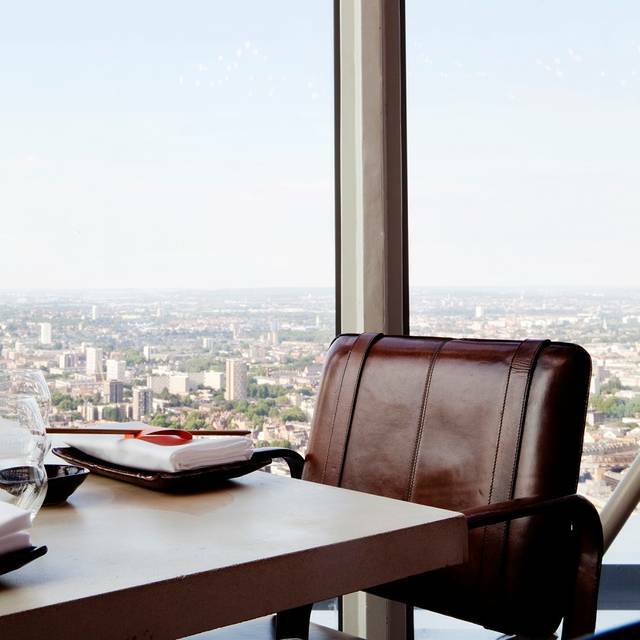 Sumptuous food with gorgeous and encompassing views of London. Marred by some of the worst service of any London restaurant. It took half an hour for drinks to be served. We tried to get our waiter's attention for twenty minutes unsuccessfully and it took two visits to the manager before he got another waiter to take our order. Table on the terrace was brilliant, I don't think there are many better views when dining in London and we were blessed with 30 degrees heat when we went! We've chosen the perfect restaurant to celebrate our 10 years' wedding anniversary! First class service and superb food. Inattentive staff, waited 45 mins to get a drink which we had to chase for, drinks wrong? Beef not cooked properly, after 30 mins of waiting for dessert we cancelled it. Waiting staff not sure what each of them were doing resulting in disorganisation. Their gas was also off so the full menu wasn't available and we should have received a call to inform us but didn't. For the first time ever in my years of eating out i requested the service charge be removed due to the catalogue of bad service elements. I've had better customer servuce in inexpensive local restaurants so sushi samba not worth the money. Go for the views..not for the dinibg. Visiting from overseas for first time, we were only able to book a Friday 11.15pm timeslot but happily booked as reviews seemed great and expected longer sitting than just over hour for what we paid. Views of London were stunning. The mistake I made was reserve my table for 11:30pm, an hour before the kitchen closes. I felt service at that time was not great as waiter was very slow and looked tired. Asked for the dessert menu and he forgot to bring it so we just left early. Food was nice and restaurant it self was very nice. Good experience but I would say only go between 7pm-10pm for Dinner. It was the perfect setting to surprise my partner in his birthday. Could not fault the food or the staff. Made even easier by booking through open table. Would recommend to all I know. We had an outstanding experience at Sushisamba. We were given a lovely table for two with spectacular views followed by the amazing food. We loved everything but the yellowtail tiraditos and the kobe mini-burger were out of this world. Service was impecable. We could not have asked for a better day. Absolutely recommended! Went to this restaurant not knowing what to expect and was blown away !! Views amazing service was brilliant. Food lovely we stayed all night as got DJ and 2 bars on the next floor of restaurant. Can not wait to go back. There was a bit of a wait but staff were excellent, they kept us informed and gave complementary champagne. Staff were incredibly knowledgeable about food and drinks. Great atmosphere, bit of a scary lift ride though! It was my second time having dinner at SushiSamba. As I was coming straight from a concert, and their reservation policy states that they'll cancel your reservation and charge your credit card if you're 15 minutes late, I hurried to get there in time. As I get there, I'm told our table isn't ready yet, and they don't know when it will be. Asking for the manager, I get told that this is indeed the case, they are busy and there's nothing they can do, and they hope to give me a table within 15 minutes. Eventually we got our table 20 minutes later than we had booked for. So apparently they can cancel my reservation and take my money if I'm 15 minutes late, but the restaurant itself won't bother in sticking to its reservation time! Later on we found a large piece of what probably was a crab shell in our sushi; at least that was recognised as a mistake, and we weren't charged for that plate. Overall, the place is nice, but the music is a bit too loud and it can get crowded. It's unclear whether they're trying to be a fine restaurant or a club. I'd suggest separating these two rather clearly, as currently the dining experience is being adversely affected. I had been recommending this place to friends in the past, but now I guess I'll wait a few months until I return and see whether things have improved. Amazing service, excellent food! Every server went out of their way to make our day special and we really appreciated that. Thank you Sushi Samba, we will certainly be back! We for a table close to a window and had a great experience. The food was very tasty and the atmosphere was cozy and different. The waiters spoke poor English but overall a great restaurant. This was a mid-week mid-day reservation. Not my usual, which would in the evening but this was all I could get -- years on and this wonderful place is popular as ever. No wonder, consistently amazing food and wonderful service. 10 out of 10 as always, thank you! Even if I booked the dinner 2 months in advance, my friends and I waited an hour before being seated. We ordered some wine at the bar while we were waiting and were surprised to be asked to pay a 12.5% service charge for a glass of wine! Come on guys, it's not even a cocktail, you just have to open the bottle and poor the wine in the glass: is this now considered a 'service'? This is the first time I had to pay a service charge at a bar, which I find ridiculous and unfair. Other than that, the food was very well presented, original, tasty and quickly served. The atmosphere is great and the view of the capital is astonishing. Will come back for the food but not the bar! I keep going back to Sushi Samba and it never disappoints! Food is always amazing, as are the cocktails! We had a lovely waiter, however, on the day there was a man training him and he seemed to be treating our waiter quite badly in view of diners. This made us feel uncomfortable, particularly as we thought it was unwarranted treatment. Other than this one unfortunate incident we had on the day, Sushi Samba is a must!! Food and service excellent - I had a dirty glass which I mentioned to the waiters. She replaced it and gave us a bottle of water FOC. Location obviously the main-factor here. Men's toilet cubicle not in a good condition and was not a peak-time (Sunday afternoon). No dress code I could see - drunk Australian tourists in t-shirts, jeans and trainers. First time at Sushisamba. Everything we tried was excellent, but the sushi was sublime. The waiting staff were friendly and happy to give advice, the service was excellent. And the view is worth going for alone. Only quibble I have is booking a table is difficult; had to book 8 weeks in advance for a Sunday lunch. Also be aware there is dress code, my partner was wearing flip flops (nice ones!) which wasn't strictly allowed. But fortunately for us, they still let us in to experience this amazing restaurant. My other half and I had lunch on a Saturday at Sushisamba in London. We've eaten here before but there's always something new to discover on the menu. The decor and setting are stunning. The views over London are spectacular and they've spared no expense on the recent makeover. The real centerpiece here is the food. Wow. Just wow. So many flavours and regional dishes to try, it was hard to choose! The black code miso just melts in your mouth and the sashimi is so fresh, you'd swear the fish was only just plucked out of the ocean. I've only given 3 stars for the service here because I felt it was a little overbearing at points. We'd dined here before so knew what the score was on the menu. However, our server still explained it to us. It felt like we had a third person at the meal at points! They were very passionate and friendly, don't get me wrong. It's just I felt it was a little over the top. Otherwise, just fantastic and we will be back. Again and again! We were waiting more than half an hour in spite of booking more than one month in advanced. The bar section was very noisy, the music was horrible and cocktails very overpriced. The food at the restaurant was good. The service was friendly, but did not behave as we were at a formal dinner.